FRANCE'S World Cup celebrations have been marred after two fans died and police were forced to fire tear gas amid clashes with football fans. Cops used water canons on crowds after the country became two-time world champions after beating Croatia 4-2 in Moscow, The Sun reports. In the Alpine city of Annecy a 50-year-old France fan broke his neck after jumping into a canal at the end of the team's 4-2 triumph over Croatia in Moscow on Sunday. Then, in nearby Saint-Felix, there was another death when a man in his 30s died when his car crashed into a tree as he celebrated the win. Such accidents were accompanied by baton charges by CRS riot squads as tear gas was used to keep crowds in order. A police source in Paris said: "Rioting broke out soon after midnight as large crowds refused to disperse. "Shops including the Publicis Drugstore close to the Arc de Triomphe were ransacked. Windows were smashed and officers who intervened were attacked. There have been scenes of absolute chaos that have spoiled the party." Some 4,000 police and security forces had been deployed across the French capital in case of trouble following France's first World Cup final appearance since 2006. There was also serious trouble in the eastern city of Lyon, where hundreds of youths went on the rampage, attacking cars and setting fire to wheelie-bins. Public fountains and other monuments in cities such as Bordeaux and Marseille, as well as Lyon, were filled with youths brandishing flares and throwing bottles. Antoine Griezmann came under heavy fire. French police fired tear gas and dispersed crowds from the Champs Elysees late on Sunday after clashes with a small group of unruly fans threatened to spoil the celebrations. 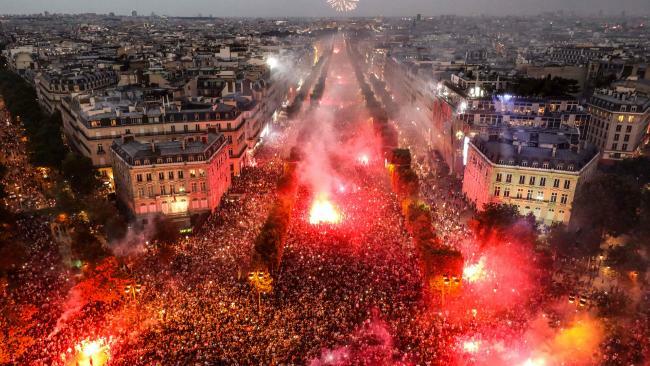 France had mobilised around 110,000 security staff for the Bastille Day festivities on Saturday and World Cup soccer final on Sunday. 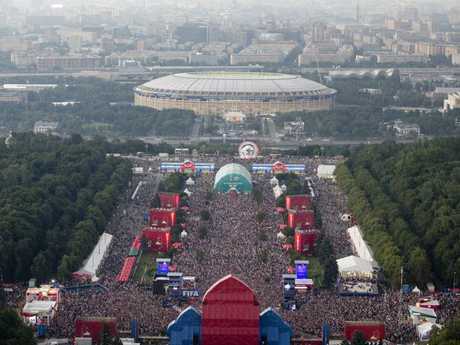 Fans partied in the streets as thousands gathered at the Eiffel Tower and Champ de Mars to watch their nation in action on the big screen. Les Bleus became world champions for just the second time after their stunning win over Croatia in Moscow. Supporters not in Russia flocked to the Eiffel Tower and Champ de Mars where they could watch the showdown on the big screen. The blue, white and red of France's flag can be seen draped over fans' shoulders, painted on their faces and lining shop windows. France manage Didier Deschamps named the same starting XI which beat Belgium 1-0 in the semi-final. Premier League stars Paul Pogba, Hugo Lloris, N'Golo Kante and Olivier Giroud made the cut. Croatia, on the other hand, failed in their aim to be named world champions for the first time in their history. Their 2-1 win over England in the semi-final sealed their place in the final and left the country ecstatic. 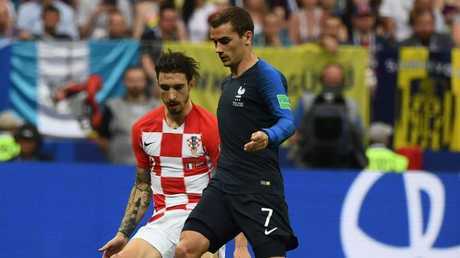 Croatia also stuck with their tried and trusted with Ivan Perisic and Mario Mandzukic, who both scored against the Three Lions, keeping their place.